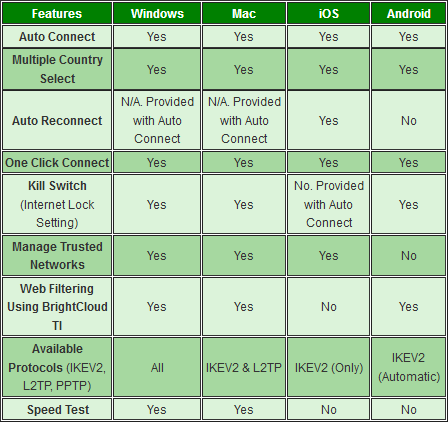 Lists the features of Webroot WiFi Security by operating system. Our VPN solution is designed to cover the ecosystem of devices in your home. With our multiple device coverage, you can install WiFi Security on several platforms including Windows, Mac, iOS and Android. There are some feature differences between platforms, as shown in the table below. Note: features by platform may change over time.